A writing career is not an oxymoron. The writing life can be a vocation. Consider a career in journalism, for instance. It can be something that you do full-time and it can be something that can be as gratifying as any career. It can pay bills and put food on the table and fruits in the basket. Like any other professional option, a career in journalism in India requires planning and passion but importantly patience. In this two-part series Booksoarus brings you a view of the writing world. In this post we feature guest writer Preeti Milind More a post graduate in commerce with a Diploma in Business Management. She has been a journalist with The Times of India for 3.5 years. She’s written feature articles extensively for Pune Mirror. She has also written lifestyle articles for Magic Tours of India and Sakaal Times – a supplement of SHE. She de-mystifies a career in journalism for us. Journalism has an inevitable impact in our lives. Be it broadcast journalism, print or the web, media has always brought the world to our living rooms. Recently I saw an advertisement on Television which stated that, “In this age of technology, it is absolutely criminal to say you are lost!” Journalism has that effect on you; can you ever be lost with the media buzz around you. So, what exactly is Journalism? Simply described, journalism is all about collecting information and disseminating the facts and figures to the public via print, television and Internet. Journalists present the news in a manner that is useful, informative and thought-provoking. When we speak of the term journalist, you could be a reporter working on the field or a sub editor, “subbing” a reporter’s copies. That’s why you should have knowledge on the hierarchies in journalism. The journalist, in the capacity of a reporter is the most basic but essential position. He is the one who collects the story information and is also, often the one who gets the story idea! If you want to be a reporter, you need to have that “go-getting” attitude, the desire to pull out facts of a story, conduct interviews and gather first hand information (strictly!). Some of them take a professional photographer along too. A reporter needs to have a sense of time and accuracy; the person shouldn’t shirk from going at odd hours to seize a ‘breaking news’ story. Remember, it’s all about right timing and a different angle brought to your story that ‘clicks’! So, a reporter is the one who senses a story out of a rather mundane piece of news! There are Special reporters also hired at times who specialise in a particular field like Education, politics, crime or Sports. A regular in all tabloids, a feature writer gives the readers that much required respite from the regular routine news. Feature writing is about telling the readers a story, a thoroughly researched, meticulously presented story. The difference between a feature writer and a reporter is that a news writer may not have enough preparation time owing to the urgency and timing of news. A feature writer can plan a story for months. These are human interest stories. That doesn’t mean a feature writer’s life is easier – they have to spot and juggle multiple stories at the same time. It is not as easy to start off immediately in the field of journalism. To hone and fine tune your skills, starting off as an intern for a newspaper/tabloid is the best option. Not only would you get maximum exposure but also an inside knowledge on how a newspaper works. Many students while pursuing their degree/diploma for journalism take up an internship and by the time they are pass out, they are ready to hit the floors! As an intern, you are either paid per article or a fixed stipend. Is the punctuation in place? Any grammatical errors in constructing the sentence? Wrong synonyms used? A proof reader scans the reporters’ copy giving his nod on spelling and grammar checks! Once the proof reading is done and accuracy of data is checked, the sub-editor takes the copy in his hands. ‘Subbing a copy’ involves rewriting the article to suit the requirements of the paper/tabloid. He also needs to give an appropriate and ‘dashing’ headline which we, as readers get ‘hooked’ to! A sub-editor’s job requires imagination, an advanced understanding of the language and a good knowledge of news locally as well as globally. If you are used to reading more than just one paper a day (like myself), you are sure to notice the difference in page layouts and space utilisation. There are some papers which are cramped with information and lose appeal. The designer comes to your rescue and places the articles, advertisements in such a manner that ensures lucid reading! The designers receive the final articles from the Sub-editors/Senior sub-editors and also get the space page availability details. To become a News editor, you need atleast 6 to7 years experience as a Senior Sub Editor. This person is pivotal for the smooth transition of stories from reporters to the sub editors and from there on to the Design team. He plays the role of ‘Quality check’, and if required may re-write important or Page 1 stories, ensuring fine quality news and is second in line to the Resident Editor. This person is obviously on top of the line and in contrast to what people may think, he is actually the most actively involved member in the team. He has to oversee the final quality of the paper, brainstorm new ideas for stories and is ultimately responsible for the final output. He takes decisions to hire new columnists when the need arises and has the major responsibility of keeping in line with the deadlines. An Editor has to be creative, a calculated risk taker at times, instrumental for the consistency and continuity of the paper. Without a proper editorial head, any newspaper/tabloid working can go haywire! There are various schools of journalism where one can pursue a B.A or M.A in Communication or Journalism, Diplomas in Journalism & Mass Communication and various other certificate courses. The journey in journalism is an unending process; every day teaches you a lesson or two. So, you want to be a journalist? A journalist’s job is exciting, inspiring and a “full-of-life” kind but also involves a lot of gruelling hard work. Journalism as a career in India can pay well as you rise in the ranks. Entry level positions start at around INR 150,000 to 200,000 per annum and mid and senior level positions are between INR 800,000 to INR 1,500,000 per annum. For star players, the salary can go higher. Social media has taken over. The need of the hour demands digital news creation. Newspapers and magazines alike all have an e-presence. That the media can influence the readers is known but the Web has a huge audience worldwide, bringing world news at a minimal cost. Web content creation has become equally important in today’s age and hence, there are job requirements for Web designers, editors and consultants for newspaper websites. It sure helps if you can build a repository of articles showcasing your writing skills and potential to those who are looking for new talent. For newbies this can be a Catch-22 situation – no opportunity > no visibility > no new opportunities. Here’s a solution to it. Without waiting for the big break, kick-start the process by writing guest posts on websites that have a good reach. For starters, check out Careerizma. A free platform created by the founder of Booksoarus, specifically for aspiring writers like you who want to build an online presence and highlight their researching / writing skills and learn a little about the power of SEO. However, the Careerizma editorial team is choosy (their site’s reputation at stake!) and most writers who apply may not be invited to write for the site. Read more about how you can use Careerizma to brand yourself and improve your online visibility for free. Hope to see your articles published soon. So, my query__ Am I still eligible? And what should I delve into in this field given all the aforementioned choices? Of course you are eligible! That’s the thing about writing. You can write as long as you want to and are dedicated to it. It’s not clear from your query if you want to write only for newspapers.The qualifications we’d listed here was specific to a career in journalism. If you want to venture into journalism then you’d probably have to do a course of sorts. But, from your query I get a sense that you generally like writing; so there are other options that you can pursue. You should read Part 2 of this post which lists writing options other than journalism and that will give you some sort of idea. There are a lot of freelance writing options. You can look for options through social media networking; there are many groups on Facebook dedicated to freelance writers. Sign up for their updates. They often post paid writing opportunities and you could apply for those. These are normally short-term assignments where you might have to one or two articles. If they like your work they could make the association longer term. I would encourage you to write a blog. Keep writing! I am currently studying law and would like to pursue a journalism degree from Columbia University. I really want to work at the Caravan magazine. What would be the best way to approach it? Is going abroad going to help me or should I acquire prior job experience or pursue a degree in journalism from india itself? If so, which college here would be a good option for an MA in journalism. in order to get hired by the likes of The Caravan, you will have to prove yourself as a writer beforehand. Caravan follows a genre of journalism which is known as “new journalism” or “literary non-fiction”. It adopts the method of story telling which makes it different from other magazines in India, It adopts method of story telling in its writings. This genre is aimed at keeping the readers glued to the content by arousing their curiosity on what they are reading. Thus a compelling but non tiring read is assured. You can refer to The New yorker, The Atlantic, Granta or The Harper’s to get accustomed to this particular genre. A degree from abroad(especially from the likes of Columbia Uty)would definitely hone your skills as a writer and impart a value addition. You can also surf on internet on the concept like: New Journalism, Literary Journalism etc. You have not provided us details about your background or where you are based. There are plenty of courses available for you to choose from. You can choose to do either short-term Certificate or Diploma courses or you could choose to pursue Bachelors or Masters degrees in Journalism. There are options of both part-time or full-time courses as well as courses through correspondence. It is really up to you! I’d urge you to research courses in your city based on your profile and apply to them. All the best! Could you please send us more information about yourself? 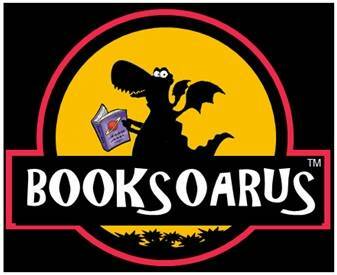 Please write to: info [at] booksoarus [dot] com. I would need to know a little more about you to answer your query and I think it’s best if we do this over email. I’m really very much interested in writing. So, I want to become a writer- may be newspaper reporter, novel writer, blogger, editor,etc. But, I’m scared about it’s salary. I’ve heard that journalists do not get enough salaries. The maximum starting salary is 8,000 (approx.) and they can get as low as 4000 too. I want to know whether it has any scope in UK or USA on the basis of promotion, salary and growth. Should I really MAKE MY PASSION MY CAREER? Currently I m pursuing my final year B.Tech from computer science & Technology, n interested in journalism as Tech journalist for electronic media. What can be suggestion about degree/diploma n best college offering this courses. I m in 11th(sci), but i m intrested in journalism. how should i guide myself futher? how should i choose college? While we’re happy to respond to your queries as best as we can, we must warn you that we are not career consultants, we are writing coaches. Yes the starting salaries probably are on the lower side, however once you get to a mid-level position, I understand that the salaries improve. Salaries and growth etc are of course a function of performance. A newspaper editor is higher up the hierarchy and you need to build your skillsets accordingly and it takes a few years to get there, if that’s where you want to go. Blogger, you can be right now. Further there are plenty of freelance opportunities that you can pursue. I’d encourage you to be active on various writing related groups on social media platforms. They constantly post freelance opportunities there. To answer your last question about making your passion your career, I can only say that you need to choose a career that you are going to be passionate about. You have make the ultimate decision. Good luck! We won’t be able to provide you with a list of colleges. There are options of both part-time or full-time courses as well as courses through correspondence. I’d urge you to research courses in your city based on your profile and apply to them. Any admissions counsellor at any journalism institute will be able to answer your specific queries about your areas of interest. All the best! I am doing my B.com degree and in my final year. But my passion lies in field of journalism. its something which comes naturally for me. i dont have to force myself to learn things as i find it very interesting and it has become more like a habit for me. i working in india is idle for me but to work in countries like japan(actually i want to work there ) is it okay to enroll in a journalism college in india ? is there anything i should do additionally ? Can u plz suggest me is it good for me to bcm a jounalist??? Journalism is the profession of reporting, writing about and creating news stories. You need to be both culturally familiar as well as have an astute sense of observation to develop and create these stories. Therefore your goal of going to Japan to work as a journalist there seems a little unrealistic to me. Are you familiar with Japan’s social, political and cultural landscape? Or do you mean going to Japan as an overseas correspondent for an Indian media house? I am assuming that you are an Indian citizen; please correct me if this is incorrect. You could pursue a journalism course in India but you need to be clear what your own end objectives are and the feasibility of the same. It took me a while to read and understand your query! If you believe you have the flair for it, you could begin writing a fashion blog. You could promote it on various social media platforms and see where that takes you. You could pursue this like a hobby. If you are serious about your hobby and approach it in a dedicated manner, it can turn into your profession! All the best. i just wanted to know if journalism is all about writing? is the person who reads the news on news channels….a reporter? i love journalism…bt income doesn’t seem much good? Hello, firstly, thanks for this enlightening article. There isn’t a lot of information for students who’d like to pursue journalism in India. Now my query is this : what are some of the entrances exams that I’ll have to take? I’m a commerce graduate(2013). I’d be very grateful for any information. Well ….I finshed my pg in pharmacy ….am I eligible for journalism??? If so what are the options ???? Thanks dear for your this enlightening article: as you people are talking about journalism- as a career it is good when the circumstances support you- in other words, my ambition is to go into journalism as a career… But our millieu is not so conducive to the mentioned field, on the other, a reporter or journalist in country like ours happens to be under many deathly threats and the point of insecurity toO… But in pragmatism excuses should be avoided and the shirt of optimism should be worn- Lets see! What the unpredicted future holds…! I am a B.E. graduate in IT. Recently,i have been selected to take internship in Broadcast Journalism from a news channel training institute. *will i need to do further courses/diploma after my internship or it will be enough to start off a career in Broadcast Journalism ?? Thank you for the interest in our post. While we attempt to answer your queries as best as possible, we must reiterate that we are not career consultants. This article is meant only for information. Please read my response to Nikhil (above); I’ve defined what journalism entails. The entire article mentions the many possible journalistic roles. We’ve also given the approximate salary ranges. Most journalists pursue the vocation because they enjoy the impact they can create on society by identifying and reporting news-worthy stories. My few journalist friends tell me that the seemingly ‘low’ salaries are not a deterrent because they love their jobs and the power that comes with it. Thank you for liking our post. Entrance exams are institute and University specific. Look out for admissions notifications in newspapers and other online and print media. Is there any specific reason why you want to abandon pharma and move to Journalism? Eligibility criteria varies from Institute to Institute and University to University. Most educational establishments will insist on a Bachelor’s degree from an established and recognized University in the event that you are applying for a Master’s programme. You could look up private institutes that offer short-time certificate courses in your city. Thank you for that profound thought! Keep writing to us. We’d love to hear from you. Very exciting! Congratulations on being selected to pursue an internship. Broadcast Journalism refers to the dissemination of news by electronic methods (as against traditional print media) – via cable, television, radio, internet. It is a crowded space given the number of players ‘out there’ but, as I see this, it’s definitely one of those vocations which will never really go out of fashion. During the course of your internship observe your seniors and understand both their educational as well technical qualifications and background. That will give you an idea as to your own future course of action. Currently I am B.com Graduate and want to Pursue PG Diploma in Broadcast Journalism from Any TV Institute. * Any Other Suggestion about this Course. hi!! Lavanya mam! I got through your article and other relevent questions of many friends…! Well! Deciding a career is really … really a challenging task…i must say…as in present time…two things matter most…WHAT WE LIKE N…WHAT IS USEFUL FOR US…mam! I am a 12th appearing student with PCB…my hobbies include poetry, debating on current topics and writting articles on them. Honestly speaking, following a general trend…i opted medical stream as my career…but now i think that’s not what i want to be…! Mam please…can you give me any information about the competitive exams in this field…best collages in india…any coarses…or…any…any other way to find my path in the city of my choice…JOURNALISM!! hey. I wanted to ask a few questions. I am an 11 standard student, currently pursuing Humanities stream with sociology, psychology, economics, pol sci and english. I am very interested in journalism especially, in the broadcasting area. I have seen the amount of exposure given to journalists in foreign companies like, BBC and Reuters. I want to pursue journalism abroad. Where do you think I should pursue journalism? in India or abroad?? I have just completed my Bachelor’s of Mass Media in Journalism from Mumbai University and currently working as a Content Writer in a multinational firm. I want to pursue a teaching career in future, to teach journalism students. How should I go about it? Which course should I do? and how much experience would I need to teach undergraduate students? I’m doing my final year of BSc Chemistry. I want to change streams after my UG. I love writing, it is what gives me happiness. I’ve also started blogging recently. I feel I should take up something I’m really passionate about for my further studies, and hence I was thinking about journalism as a career option. What is your say on this? How should I go about it? Also, which are some of the best colleges for journalism in India? 2) Studying in India vs U.S. or Europe for better opportunities. 3) Masters in journalism or journalism and mass communication. 4) What factors to lookout for while looking out for college. Please help me with such questions to help me chase after my dreams. I guess these questions would help many. I am a BTech Final year student and i want to presue my carrer in journalism. so I have a small query that is after my graduation i need to pursue bachelors in journalism or i can directly pursue post graduation in journalism. can you please suggest me. I am pursuing bachleors in international relations, further i want to do my masters from journalism. so i want to know that which are the institutions where i can apply for M.A. in journalism . Hello, I am still a school student. I love writing and want to become journalist. I have a great interest in arts and actually I want to work in The Hindu. I’m really not worried about uncertain working hours. And if I become a journalist will I be able to go to Japan or such places to write something like a travelouges and such. I am an indian citizen. Hi mam!!! I am in 12th standard now. N I have discovered that I am a good speaker and a good writer.I usually write on the topic which I had experienced. But I want to know what are the things I need to concentrate upon. How to improve my ability to write,what should I write..and is journalism is all about writing?? I want to be a news anchor or a tv anchor. Plss mam help me out of this. What should I do in future to be a good journalist?? Help me out mam…i need ur help…thank you !!! Hey ! I am Aarushi. A commerce student! I think journalism is a perfect career option for me as it involves gathering news, writing and public speaking. I am very good at writing and speaking. Although, when I discussed the same with my parents they were quite dissatisfied with my choice. They want me to become either a C.A or lawyer but I hate both professions since they involve matters related to finance, money etc. which I don’t adore. I am quite creative and love to play with words. Even after spontaneous requests they are not happy. I always wanted to become crime journalist since class 10 but opted out. After 2 years in commerce field I am quite sure that I don’t want to pursue it anymore. They have filled up forms for common law admission test and cpt. But I want to concentrate on my admission test for mass communications and journalism. My father being a C.A has asked several of his clients and friends about journalism field but everyone is passing a negative response about this profession, but I know I can excel with flying colors in this field. I won’t be a good lawyer if I became one because after noticing the subjects of law I yawned and tears flowed my eyes . In my school life, I purely hated the study related to parliament and legal history. I mean to say they are uninteresting for a person like me. I want to know everything about journalism. do always what u want ….because hum we not get the satisfaction after getting the degree of c.a and lawyer…. so the best option is to do what we wish..
Hi I am based in delhi done my graduation in political science hons wish to pursue a career in journalism ..are these courses which are run by media houses like India today group or India news channels pg diploma in broadcast journalism duration of one year are good and hold any importance in the industry.. Plz guide. I am a B.tech 3rd tear student. I am interested in doing Journalism internship and i need some guidance and want to know from where can I do internship. I am final year mechanical engineer, but I curious in journalism …like speaking, reporting , debating ….. so my query is , what i do now? ……. any courses or internship required ???????? I’m approaching you on behalf of my sister who is about to complete her pu this year and she wants to pursue her career in the field of Journalism so i just wanted to know weather it could be possible as she is from Science background.. please reply me back on my email i.d ..